Winter arrived in Australia with bountiful rainfall and cooler weather. The beginning of the new season provided many good reasons to have some time indoors by a fire, move our bodies more and enjoy warm foods. Mindfulness allows us to adjust to new external and internal cues. It guides us in our selection nourishing winter foods. Eastern medicine explains winter as yin . The qualities of yin support storage by the body and introspection of the mind. Storage replenishes our bodies after an active summer and the autumn harvest. It keeps us well during winter, and ensures that we have adequate energy for the upcoming spring. Quiet introspection supports the development of new ideas and projects to birth in spring. It also encourages us to sit and rest our bodies. The Eastern view considers the union of the body and mind, and the flow of the seasons. So do not feel guilty if you feel like resting and catching up on sleep during winter. You will also be naturally drawn to warm and dense nourishing foods. Nourishing winter foods support the inner warming of the body. Eastern medicine recommends that we include foods that have a bitter and salty flavour. The qualities of salty and bitter foods help warm our inner core by moving Qi (energy) inwards and downwards. The addition of salt comes with the warning that excess salt places stress on the kidneys and can increase blood pressure. Spices are suggested for people who feel the cold. Spices are believed to improve digestion and the circulation and storage of Qi to warm the body. You may have experienced this warming effect when eating spicy Asian foods. Creating nourishing winter foods includes the choice of cooking method. Soups, casseroles, curries and baked foods are ideal for winter. Slow cooking methods are suggested to increase the warmth of the food. 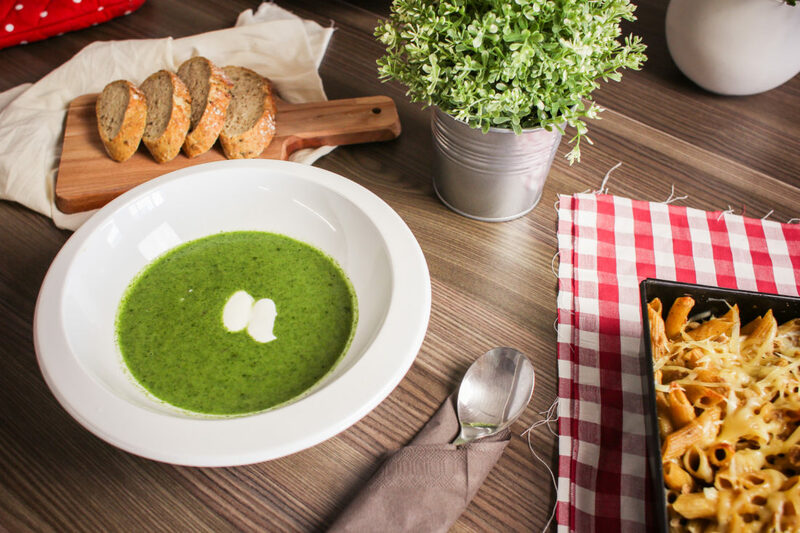 Simple nourishing winter foods include: vegetable and bean soups and casseroles, baked root vegetables and meals such as vegetable bakes and lasagna. You might like to start your day with mixed grain porridge, homemade bake beans or eggs served with wilted greens. Eastern traditions suggest the avoidance of cold raw foods and fruits, as these are cooling and make it more difficult to keep the body warm. They also recommend taking care with excess salt and seaweed as they weaken the body, as mentioned above. Rest and reflection are supported by a mindful selection of warm nourishing winter foods, and by balancing time for rest, meditation, sleep and activity. It is natural to be less active in winter compared to the warmer months, but this is not an excuse to become a couch potato. The body requires daily movement to keep warm and remain supple—Eastern approaches describe exercise as supporting the flow of the Qi. In the coming weeks I will be sharing tips and recipes on cooking with lentils and legumes to create nourishing winter foods.